Signature H Property Group is pleased to announce that Xude Hospitality will oversee and manage the amenities featured at New Errol. The golf course, clubhouse, lodge, and water park will operate under one management team, led by Michael L. Miraglia, CEO of Xude, ensuring that all operations are unified. 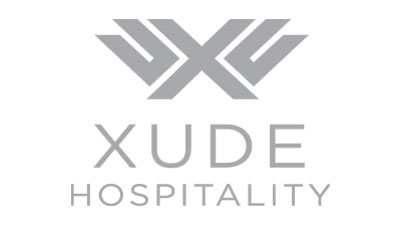 Xude Hospitality Management has over 30 years of experience in the hospitality industry and owned/operated nearly 200 courses. Mr. Miraglia successfully operated the world-famous Doral Golf Resort and Spa in Miami Florida for 4+ years. In this capacity he oversaw spa and golf operations with 90-holes of golf playing over 150,000 rounds per year and the world-class spa with 48 treatment rooms and over 100 services. He was the host professional for 6 PGA Tour events (2 Doral Ryder Opens, 2 Genuity Championships ~ formerly Doral Ryder Open, 1 Shark Shootout and 1 PGA Q-School Finals) and the LPGA Tour’s The Office Depot Championship. During his tenure, he also completed renovations projects to the Famous Blue Monster course and the Red Course. In addition he oversaw the entire reconstruction of the Great White course by Greg Norman, which received high reviews from Golf Magazine and Golf Digest. Mr. Miraglia has been ranked as high as #17 on the annual list of the Most Powerful People in Golf.